Juanita is a native of Ste. Genevieve and holds a BSE and MAT, with a major in Art, from Southeast MO State U. She spent 30 years teaching H.S. Art at DeSoto H.S., retiring in1999. Juanita was also an Adjunct at Jefferson College for 4 years teaching Art for Children, and named the Missouri H.S. Art Teacher of the year in 1998. Juanita now makes her home, again, in Ste. Genevieve and is actively practicing what she preached, showing her work mostly in Ste. Genevieve at the Galleria Ste. Gen. and at European Entitlements. 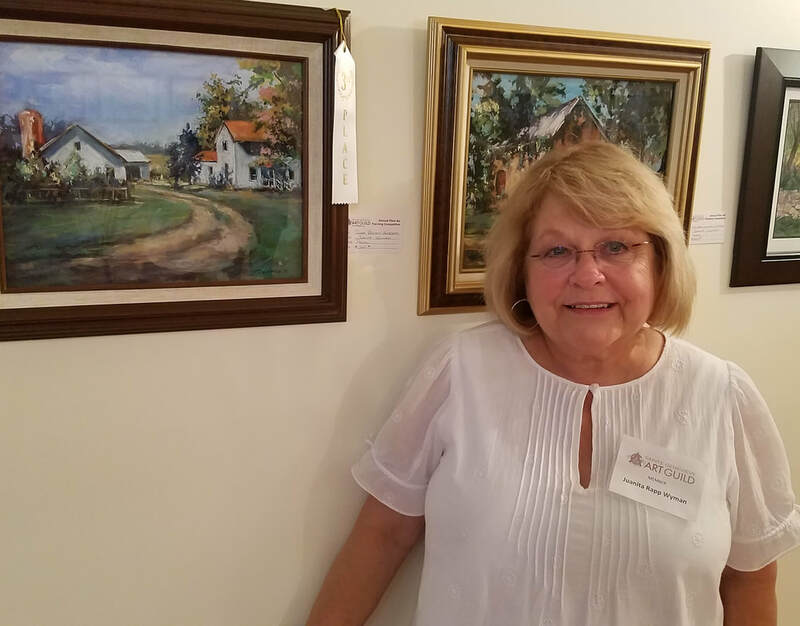 Juanita has been working primarily in chalk pastel and her subject matter is typically European and mid-western land and cityscapes. Her work can be viewed on facebook and Instagram. She can be reached at jwyman47@hotmail.com.